Hill’s: a new standard in veterinary care. Nutrition is gaining in prominence as a discipline as its importance to animal health is increasingly recognised. Many world congresses now feature stand-alone nutrition streams, and frequent mention of diet as therapy in many of the medicine, surgery, and behaviour lectures. The WSAVA has been actively campaigning to raise the profile of nutrition since it established the Global Nutrition Committee in 2010. The 14-member committee, chaired by Dr Gregg Takashima, is composed of academics and practitioners from around the world, including North America, New Zealand, South Africa, The Netherlands, the UK and Taiwan. The committee was initially tasked with developing global nutrition guidelines for pets, and these were published in 2011. The goals of the Guidelines are to help veterinarians and their staff discuss nutrition knowledgably with pet owners, and to ensure that the pets in their care are being fed the optimal diet for their individual needs. The WSAVA Nutritional Guidelines1 are now available in six languages, have been endorsed by at least 30 member associations, and have been published in over 15 journals. The WSAVA is aiming for a nutritional assessment to be a standard part of every physical examination, along with the other vital signs of temperature, pulse, respiration and pain. It is also stressing the need for the veterinarians and nurses to provide a nutritional recommendation for every animal as a standard of patient care. Research over the past decade by the American Animal Hospital Association2 is of relevance here: 90 per cent of pet owners in the USA want a nutritional recommendation from their veterinarian, but only 15 per cent of pet owners perceive that they received such a recommendation; and, a majority of pet owners purchase the food that their veterinarians recommend. A survey conducted in France by Hill’s Pet Nutrition3 of 1100 pet owners and 600 veterinarians identified factors that were important to owners and their vets in a wellness pet food. Vets told us they wanted to recommend high quality diets with multiple benefits that are only available from veterinary clinics, a simple, easy to manage product range, and client satisfaction with the recommended diets. Pet owners told us they want the best quality food for their pet, one that their pet also enjoys and that comes with a veterinary endorsement. 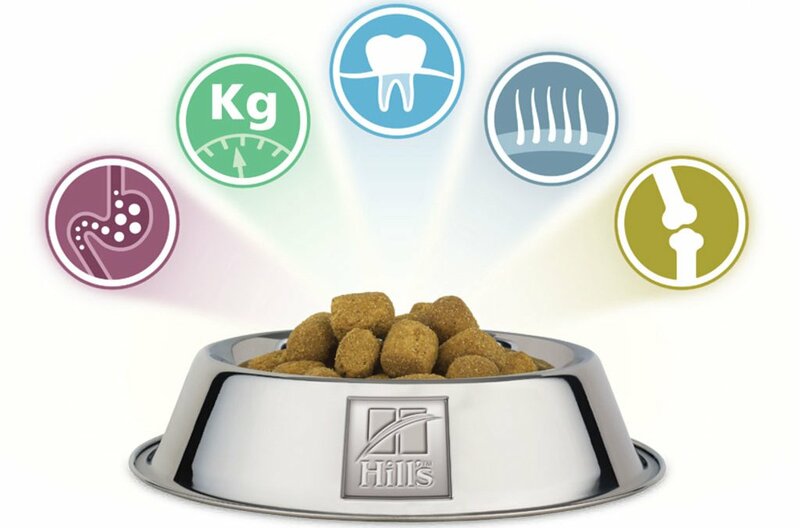 Hill’s™ Pet Nutrition took all of these factors into account when designing their vet exclusive wellness range, Science Diet™ VetEssentials™. Each VetEssentials product contains five essential health benefits merged into one diet, and the health benefits are tailored to meet the needs of the pet’s species and life stage. The VetEssentials range is straightforward and easy for clients to follow, making that all important nutritional recommendation a natural consequence of your interest in the health of the pets in your care. For more information contact the Hill’s Helpline on 1800 679 932, or your local Hill’s Territory Manager. 3. Hill’s Prophet Research 2008 – Retail Environment Study 2008. How would you like your sutures?